Hormones are the brainâ€™s messengers and play a vital role in dictating what our mood is going to be like by the different hormones in the body. The main hormones for weight loss are Insulin and Cortisol of which I am going to explain what each one is and why they are so important in losing weight. Insulin is the blood sugar hormone which comes from the pancreas and it regulates the levels of blood sugar in the blood so for example if this is too high over a longer period of time then this can lead to heart attacks, strokes, diabetes and in some of the worst cases blindness. This hormone is also responsible for how hungry we feel when we eat carbohydrates because this hormone uses carbohydrates to fuel itself therefore if too much of this macro-nutrient has been consumed then the insulin response will be quite high especially when sugary carbohydrates have been consumed and can cause inflammation in the blood and in the joints causing clicking noises and aching. It is vital that insulin is monitored and kept to a normal level because this can cause major weight gain if it keeps being overused. You can reduce insulin by cutting down the processed foods and eat more fruit, vegetables and protein which will keep you satisfied for longer rather than it leading to increased consumption of food due to the carbohydrate intake. Cortisol is the stress hormone and is arguably more important than insulin in terms of the effect that this has on our lives on a daily basis. If stress levels are raised over a long period of time, then this can also cause an increased risk of getting heart attacks, strokes and dementia. It is important to regulate this hormone MORE than insulin in my opinion because we have such busy lives these days and are exposed to so many different things such as work, technology and family which then cause stress levels to elevate. The food that we eat will also elevate stress levels if it contains an excessive amount of sugar and saturated fat then we usually get annoyed that we have eaten the bad food and then beat ourselves up leading to higher cortisol levels. You can reduce cortisol levels by stop eating the processed foods, meditation which takes all of the stressful thoughts out of the mind and allows the mind to reset itself leading to more positive thinking. 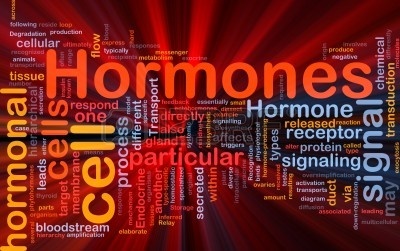 I think that it is important to remember that these two hormones can be reduced and regulated but 90% of people have NO idea whatsoever that hormones play a KEY role in our weight loss and overall health, but also you canâ€™t obsess about this as you will be worrying about it all the time. Once you grasp the importance of how this affects everything in our bodies then you will be a better, healthier and fitter person for it which is why I have done this post.